Throughout history, the end of wars has required negotiations between the warring parties. The most prominent negotiation being the Westphalian Peace Settlement that ended the Thirty Years War [1618-1648] that had desolated Europe. The settlement comprised three treaties which are considered by many jurists to have birthed the international legal system. 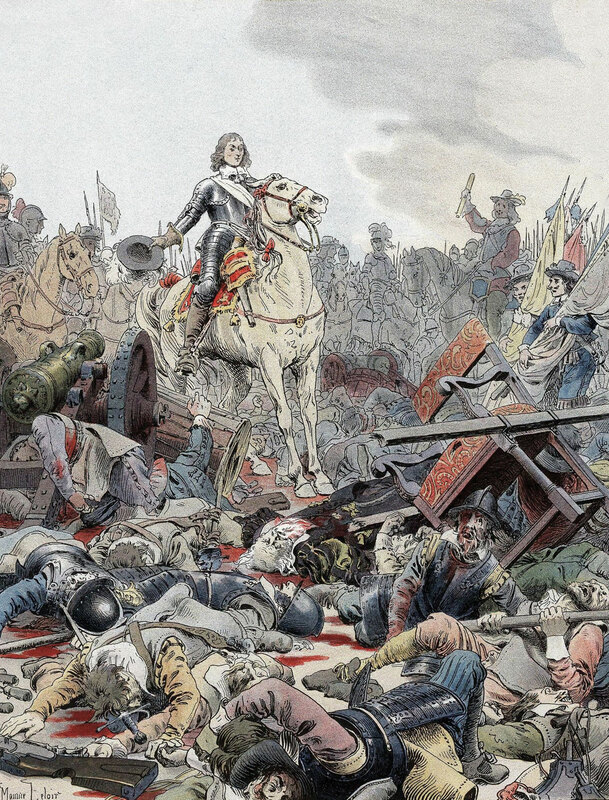 Confronting a state of perpetual war, the parties to Westphalia negotiated the conditions in which they could agree to cease their hostilities and enter peaceful relations. The contemporary importance of Westphalia is that it established two fundamental principles that are now codified in the Charter of the United Nations: sovereign equality and territorial integrity. As most can probably surmise, these principles were intended to have anti-hegemonic effect. However, in reality they enabled superpowers to emerge as a result of ‘radical inequalities among states in size, wealth, and power in international role’. This is evidenced in the composition of the UN Security Council, exemplified by the five permanent States that hold veto power that they can and do use for their own political ends. Admittedly, although negotiations have ended past wars, the Iraq (and similarly Syria) war is more complex. Firstly, IS is not a State in any formal sense despite their assertion to the contrary. Secondly, it is a civil war not a war where one sovereign State agresses against another equally sovereign State threatening their territorial integrity. It is in this context, that the do not negotiate with terrorists (DNNWT) rule arises. Whether the DNNWT rule has acquired customary status, I am unsure, but a good case could probably be made given it’s widespread acceptance among States and the clear evidence of State practice. Additionally, it would be consistent with the Vienna Convention on the Law of Treaties principle that a treaty must be concluded between States in order to achieve international legal standing. As terrorist designated organisations are not States, then no internationally binding treaty with IS could ever be legitimately concluded, unless they were to be recognised as a State (which would bring with it a very complex and contentious set of considerations). However, there is always the possibility of a domestic treaty negotiation situation. However, the DNNWT rule serves both the anti-hegemonic and hegemonic agendas. For the reason that, it protects the sovereign equality of States, but it also allows superpowers to heavily influence the direction of international security policy and to dictate who are legitimate resistance groups according to their own political and economic interests. This might seem reasonable when limiting the scope of discussion to IS given the heinous atrocities that form the basis of their resistance strategy. But the implications extend further than those groups. It is not difficult to conceive of a circumstance when internal resistance might be necessary, such as, when a society is ruled under a violent dictatorship. For instance, many (contentiously) see the resistance of the Free Syrian Army as a justifiable belligerent act against their autocratic government and some States were prepared to support the FSA despite their lack of legal standing at international law. The logic of the DNNWT rule seems perfectly reasonable. In order to protect the political sovereignty of a nation, the obvious strategy is to refuse to allow a belligerent militia to influence the decision making of that State. Of course, there are times where that logic is stretched beyond what is reasonable. Recalling Prime Minister John Key’s assertion that not going to war with IS was essentially allowing them to interfere with New Zealand’s political sovereignty. Absurdity abounding on the very fact that his decision to deploy troops to Iraq comes off the back of pressure from other nations that New Zealand cannot simply be a passive ally. Moreover, that doing nothing or doing what the government have decided to do are both decisions based on the influence of IS. On the other hand, ruling out negotiations, as mentioned above, removes the very process by which conflict could ever hope to be resolved with enduring peace. I’m not so naive as to think that negotiating with IS would immediately resolve the long history of religious tension within Iraq and its surrounding regions. Nor am I suggesting that IS would even be willing participants to negotiate a resolution. However, eliminating the option arguably casts us back almost 400 years to once again face the reality of a perpetual war. Sheldon Richman also alludes to the perpetuity of war arguing that when governments invade and occupy other countries, or ‘underwrite other governments invasions or oppression, the people in the victimised societies become angry enough to want and even to exact revenge’. I’m certainly not convinced that raining hell fire over Iraq and areas controlled by IS will bring about any solution at all. And before someone calls me an IS apologist, this is not about defending IS at all. To make that claim is both lazy and unintelligent. As humans in common, we all have an interest in avoiding the spread of hate and unnecessary death. We all have an interest in avoiding a world in which fear is normalised and the quality of our lives debilitated. We cannot pontificate under the pretence of ‘the others’ intolerance when our governments commit or support other governments that commit equally heinous crimes. …what counts as cruelty and barbarism in war is shaped by our cultural values and historical context. Objectively, it is perverse to insist that burning a man to death with petrol is a greater moral evil than using munitions like phosphorous bombs in military operations which we know will burn a great many innocent people to death, including children. It is the nature of every society however, to point out the cruelty of the enemy while obscuring the cruelty of one’s own actions. John Key has insisted that the New Zealand must join the club and choose the ‘right side’.He has made the executive decision that New Zealand will deploy troops to Iraq. That does not mean Aotearoa supports him in his crusade. Contrary to the PM’s suggestion that New Zealand’s contributions must exist on some kind of binary – sending troops versus doing nothin, we can meaningfully contribute to improve the lives and outcomes of Iraqi’s through genuine humanitarian aid while finding a way to open dialogue between IS and the Iraqi government. For instance, New Zealand could consider relaxing our refugee quota, sending food and water, medical supplies and unarmed medical personnel rather than exporting guns, bombs, drones and people armed with what is ultimately a violent mission. Expanding the war in Iraq will surely aggravate the incapacitating conditions that Iraqi peoples already endure. That is not help, that is hindrance. It is insane that our governments (NZ and abroad) support the export of violence to an area already riddled with instability and fear under the illusion that foreign arms will introduce peace amid the chaos. It’d be good if foreign policy wonks realised that peace is not something you can just bomb into existence. The Peace of Westphalia comprises three treaties, namely, the Peace of Münster, the Treaty of Münster and the Treaty of Osnabrück see Anuschka Tischer “Peace of Westphalia (1648)” in Oxford Bibliographies online < http://www.oxfordbibliographies.com/view/document/obo-9780199743292/obo-9780199743292-0073.xml>. Charter of the United Nations, arts 2(1) and 2(4). Vienna Convention on the Law of Treaties, art 2(1). Sheldon Richman “Domestic Fear Is the Price of Empire” Free Association: Proudly Delegitimizing the State since 2005 (25 February 2015) < http://sheldonfreeassociation.blogspot.co.nz/2015/02/domestic-fear-is-price-of-empire.html&gt;. Richard Jackson “IS and the Barbarism of War” RICHARDJACKSONTERRORISMBLOG (12 February 2015). < https://richardjacksonterrorismblog.wordpress.com/2015/02/12/is-and-the-barbarism-of-war/&gt;. Disunity as the year comes to an end for the Māori Party? Of note, the headline is a little misleading since the decision was not advanced by Flavell and after watching the interview, Turia seems disappointed more than she is furious. The issue: Flavell has supported Housing Minister Nick Smith in abandoning the previous Māori housing policy which would have seen Te Pou Matakana (an independent Māori organisation) administer $25 million to coordinate Māori housing. The decision: to transfer this responsibility of Māori Housing to Crown entity Te Puni Kokiri. As the architect of the previous policy, it is unsurprising that this move has upset Turia. Mainly because it seems to contradict the objectives of Whānau Ora to create rangatiratanga for Māori as opposed to micromanagement by the State. And after scrolling through the feedback on this decision, Turia’s criticism appears to resonate with a sizeable proportion of Māori Party supporters and Māori more generally, including myself. To be clear, I have much respect for Te Ururoa Flavell. This post is not about trampling on his mana. And I suspect that was not Turia’s intention either. Rather, it is acknowledging that as a Minister of the Crown, his decisions will be scrutinised even by his wider support networks, and that critique is a healthy part of the democratic process. One thing to be mindful of is that Flavell is bound by collective responsibility in his portfolios and must represent the government’s position in relation to his ministerial responsibilities. This was made clear when the Party members and supporters voted in favour of the relationship accord. It is the primary reason the membership supported Co-Leader Marama Fox as an independent voice in Parliament. That outside cabinet position is intended to give Māori a voice and provide an avenue for criticism of decisions that Māori believe are not in our best interests and do not steer us toward tino rangatiratanga. [If] they were worried about the amount of money, which is what they told me, worried about the amount of money for administration, they could have put that in the contract. The reason supplied to Turia is a major cause for concern. It explicitly says that the Crown do not trust Māori to manage our affairs. In my view, it is both a condescending and oppressive attitude that intensifies ingrained views of Māori as ‘needing to be civilised’. Moreover, it imposes a view of Māori criminality (i.e. Māori organisations cannot be trusted to act legally or appropriately with significant sums of money) and is further evidence that the heavy chains of colonisation are still firmly in place. There are, of course, clear instances of the mismanagement of funds within Māori organisations. However, this is not unique to Māori and flagging it as a reason for ‘State’ retention of control entrenches the perception that the behaviour of the few is reflective of the entire Māori population. The government talks about its role in creating an enabling environment for Māori. This is language drawn from international trade policy, in particular, the WTO. Unfortunately, the way it is being employed in NZ is eerily similar to the way the developed countries advocate the enabling of developing and least-developed countries but in reality have sidestepped their obligations. Māori Party president Naida Glavish tells former co-leader Tariana Turia to “let go” following her public criticism of Te Ururoa Flavell. “It was her own decision to leave Parliament, which necessarily meant passing over the reins to her successors” – Naida Glavish. Tariana Turia criticised a decision to change administration of funding for Maori social housing to Te Puni Kokiri. Naida Glavish says the decision was made by Nick Smith, based on a Cabinet decision, on recommendation by the Auditor General. In my view, Turia’s criticism was not overstepping the boundary – it was a legitimate concern. As a founder of the Party and a key architect of Whānau Ora, it is understandable that she would express her views about its future in light of the decision made. The question asked of her: ‘What message do you have for Te Ururora Flavell?’ was provocative and seems to have baited the Party into a public war of words. Inadvertently implying a disunity that does not, in fact, exist. The Party will need to mindful of how easy but also harmful it is to conflate legitimate criticism with personal attacks going into 2015 and beyond. Link to Māori Party Press Release here re: Maiki Shermans commentary on Twitter. The Māori Party have said they are only supporting the first reading of the Countering Terrorist Fighters Bill, and note their strong reservations to the current text and processes for consultation on the Bill. I’m not sure about other party members, but I personally would have preferred to see the Party opposing the Bill outright. Like the NZ Greens. …well-known and public linkage that has been made in our own jurisdiction about a supposed association between Māori activism and terrorist activity. We do not want a repeat of Operation Eight. We have strong and heartfelt concerns about the possible implications of this bill, but we also believe it is irresponsible to take a stand without hearing from those New Zealanders who take up the call on human rights on our behalf. We support the first reading to enable that kōrero to happen. I don’t quite understand what this actually means. It appears to suggest that the Party support the Bill so that it can be debated despite not supporting much – if any, of what is contained in the Bill. The issue I have is not only with the Bill but also with the more strategic ramifications. The government did not require the Māori Party to support this Bill through first reading. It had the numbers through its other coalition partners and the Labour Party. The party could have opposed it and stood with the Greens on this issue in calling for broader public consultation. Thing is, it would have gone to select committee stage anyway because Māori Party support was not needed to get it there. John Key has not made a case for rushing through counter-terrorism laws…[and] there has been no compelling evidence put forward… for why these changes need to be rushed through without proper public consultation. This was an opportunity for the Māori Party to show that they were prepared to stand against the ramming through of legislation that empowers what appears to be an evolving Police State. Interestingly and relevant here, Fox also draws a link between violence away and violence at home. In my view, a natural extension of this would be to contextualise current affairs, i.e. the events in Ferguson in the US which illustrate the reprehensible consequences of empowering a Police State with the racism and injustice that come with it. Especially when we consider how, as Fox addresses, Māori and other marginalised communities are profiled. We need to be particularly mindful of our Muslim communities with respect to this particular legislation who are likely to be unfairly targeted by it. As it stands, the Party will probably have to deal with the fallout of having supported the Bill at first reading, even if they don’t go on to support it at subsequent stages. If the Bill does become law (and it will) and its provisions are abused then there will be public outcry, and every party that supported the Bill will be punished for their support. Of course, others may argue that the Bill might actually do what the government is saying it is intended to do, which I suppose could make a hero of the government. But past experience should warn us, of how easily and slyly those empowered use those powers. In my view, supporting the Bill even if only superficially at a first reading, sends the wrong message and may create perception issues that follow the Party into the next election. The only party cleared here are the Greens who stood strongly against it. FYI: I was just advised that the Māori Party voted with the Labour Party to try to get the consultation period extended and to have the Bill taken out of urgency. Although this still doesn’t change my view as set out above. When it comes to the Māori Party, it has become apparent just how deeply rooted the spin about the party is, and how blindly and uncritically it is propagated. The saddest thing is that the majority of spin is formulated in left-wing echo chambers that claim to support Māori while simultaneously attempting to actively deny Māori an independent space in political discourse. This post attempts to address the spin. The Māori Party (TMP) have a relationship accord with the National Party formalised through a Confidence and Supply Agreement. Confidence means TMP must only support the Government on any motions of confidence raised in the House of Representatives (HoR). Supply means TMP must only support the Government on any budgetary or procedural votes to have Bills heard in Parliament. It does not mean that TMP must support any and all legislation the National Party put before the house. In fact, part of the C & S agreement required the National Party to adopt and implement a number of policies advanced by TMP, including Retention of the Māori Seats, Whānau Ora, Enabling Good Lives, a Ministerial Committee on Poverty and initiatives to urgently address the effects of poverty, a constitutional review, Māori economic strategy, housing, education, environmental policies, and revitalisation of Te Reo Māori. TMP voted AGAINST National, inter alia, the MOM bill (asset sales), the GCSB bill, the 90-day employee trial, and the high seas protest ban, and supported the opposition on bills such as paid parental leave and a living wage. Being at the table is not about propping up a government. It is about having the ability to participate in ways that achieve gains for our people. Kaupapa Māori is not just a system of values it is a methodology that informs every interaction, every decision and every action. These are distinctly Māori principles and practices that cannot be buried by euro-centric attitudes to and ignorance of Te Ao Māori. The Māori Party do support iwi Māori and contrary to the spin this is not a negative attribute. Conceptualising iwi as vehicles of capitalism, is again an attitude formed by a wilful ignorance toward Te Ao Māori. Iwi connect our people through our whakapapa (ancestry), whānau and hapū are inseverable from those in iwi leadership roles. The strategic use of funds from settlements and investments operates on an ethic of investing for our people, not instead of our people. To presume that the State are the best vehicles for providing services for Māori is an affront to our tikanga and an insult to our tupuna. There is absolutely no barrier to critiquing iwi leaders from our Māori perspective as to whether or not they are behaving consistently with our tikanga, but these disputes ought to be settled in our marae kanohi ki te kanohi (face to face) in accordance with tikanga Māori NOT through the iron fists of the State. The involvement of the State should only ever occur where serious criminal offending is alleged, e.g. fraud or theft etc. On the above basis, TMP are hardly right-wing capitalists. Nor can it be claimed that they are lackey’s and sell outs. 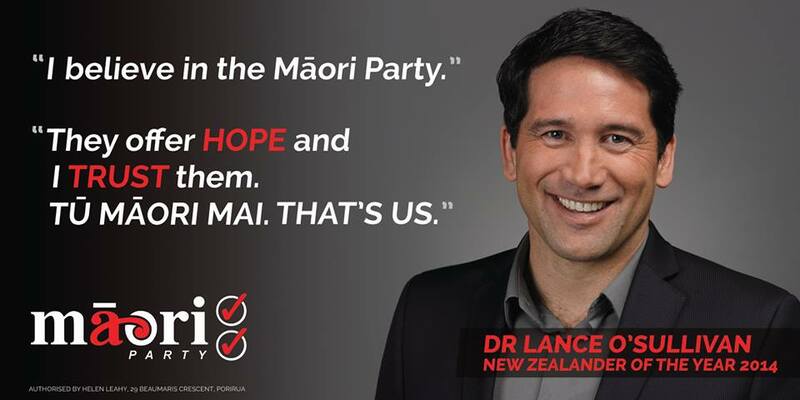 A vote for the Māori Party is a vote for the Māori Party. TMP has committed to working with whoever is in a position to form a government following each election and will not rule out working with any party because the effect would be to potentially deprive Māori an independent and participatory voice in Parliament. That TMP are forced to justify why Māori have a right to participate no matter who is in government, is a sad indictment of the state of political discourse in NZ. This post only barely touches on the spin hurled at TMP, from those one might normally expect to constitute friendly allies. In order to understand the Māori Party, however, you must also understand kaupapa Māori not just as an adopted set of values, but as it operates in practice. * EDIT: It has been brought to my attention, that I misinterpreted a tweet and have since edited this sentence: “TMP voted against the National Party more often than the Labour Party voted against the National Party” out of the article. “Excessive” immigration creates debt people pay for in multiple ways. Right person, right job, right place, right time? It’s not news that immigration has become the scourge of the election year. Surprisingly, it is many (but not all) of those who subscribe to ‘inclusive’ ideologies that argue against increases in immigration or alternatively stated, to cap or reduce immigration, which is achieved through tougher exclusive measures. This exclusionary attitude appears to derive from the idea that immigrants equate to a ‘financial or economic cost’ to the resident population, which still seems entirely inconsistent with inclusiveness. Conceiving of other human beings as a ‘financial or economic costs’ is language one might expect of corporations rather than those who might otherwise consider themselves humanitarians. If we think all human beings have an equal right to be free, whether or not that freedom has some justifiable limitations, then it is difficult to justify excluding immigrants because they bear a financial or economic costs to residents. After all, immigrants become ‘financial or economic’ contributors the moment they start purchasing goods and services, paying rent or paying taxes on their income. Additionally, many of the goods and services we purchase are produced outside NZ by the foreign nationals we purportedly want to ramp up excluding. We should celebrate because on the incoming side, skilled immigrants provide New Zealand with a significant free gift. Some other country has paid the cost of their birth, childcare, childhood medical care, education, etc. They turn up in New Zealand effectively bringing all that investment with them and this benefits the country. Remembering also that immigrants must meet a criteria as set out in the Immigration Act 2009 before being granted entry to NZ. I’m unclear whether those talking about our apparent ‘immigration problem’ are including refugees, of which we have an appalling record by the way because we take in far less than we ought to due to a very restrictive criteria denying some entry because the rules are not responsive to changing global circumstances. I guess what I am trying to say, is that rather than pursuing the populist position that ‘immigration is a problem’, perhaps politicians, could focus on how better to collaborate with those states whose citizens are migrating to NZ, and look at removing this segregative attitude that is unbecoming of a geography largely comprised of migrants. But say we accept the claim that there are financial burdens with ‘excessive’ immigration [whatever that means], might this not suggest that we have ineffective policy makers? Perhaps we might reduce these ‘costs’ of infrastructure, or the ‘debts that people pay for in multiple ways’ if we were more collaborative rather than restricting ourselves to antiquated notions of exclusion. For example, we could consider creating a framework whereby states pool resources and distribute them on a proportionate basis. There are obvious practical implications and potentially ethical considerations in implementing such a framework e.g. would states start restricting who could leave their territory to reduce what they put into such a pooling of resources, or would states coerce people to migrate as part of an expansionary process? (both of these issues could be managed in a properly thought out legal instrument). But the philosophising aside, my point is, perhaps the idea isn’t to presume we must ‘borrow’ to pay for infrastructure to accommodate those coming to NZ (noting that we benefit from these infrastructure improvements as well), but look at working with those other states so that free movement has broader benefits for all. Because frankly, I am not comfortable with the idea that ‘human beings attract costs and should therefore be excluded from a society’. My view is that FATCA is undeniably intrusive and a threat to the privacy of New Zealander’s and in fact all persons who are citizens of OECD countries because Officials in NZ have indicated a willingness for FATCA to be emulated internationally as part of an OECD/G20 initiative and that all OECD countries have entered into negotiations with the U.S. regarding FATCA. I’ve spent a bit of time lately researching the territorial rights of States, and it occurred to me that FATCA is not only intuitively inconsistent with standard conceptions of territorial jurisdiction but is also technically inconsistent. Territorial jurisdiction is usually understood as applying to bounded geographical areas and it applies to any persons who find themselves within a States territory. Although the boundaries need not be fixed, jurisdiction is not considered as capable of extending into the boundaries of another sovereign State. In fact, its considered a fundamental breach of international law to do so except in very extreme circumstances – usually on humanitarian grounds. FATCA is clearly obnoxiously coercive and should be opposed. The US enacted FATCA in March 2010. Its purported aim is to reduce tax evasion by U.S. citizens and green card holders living within U.S. territory or abroad. Hence it being a citizenship based tax model and extra-territorial legislation. FATCA requires third party reporting, i.e. FFI’s must identify U.S. account holders and share information with the U.S. Internal Revenue Service (IRS). If these FFI’s do not both register with the IRS and agree to report specific information to the IRS, they risk a 30% withholding tax on every $USD transaction that goes through their institutions. Noting, that some FFI’s are exempt, such as government institutions and certain NGO’s. However, there are leniencies if the FFI home State enters into an Intergovernmental Agreement (IGA) with the U.S as opposed to the FFI entering into a separate agreement. The purpose of the IGA’s is to ensure that a partner government will legislate to require FFI’s to comply with FATCA. In NZ, the IRD insist that the IGA is necessary because if NZ financial institutions (NZFI’s) enter into separate agreements with the IRS they are unlikely to be able to comply with FATCA because of NZ’s current legislative framework. That means NZFI’s would be subject to the penalties contained within FATCA. The IRD has recommended that NZFI’s instead refrain from registering with the IRS website as NZ is currently negotiating an IGA with the U.S. The Policy & Strategy, Treasury and IRD published a report responding to submissions on the Taxation (Annual Rates, Employee Allowances, and Remedial Matters) Bill that deals with FATCA. The report states that it is in NZ’s best interests to proceed with negotiating an IGA because not doing so would involve ‘severe reputational risk’ since ‘all OECD countries have either signed or are negotiating, IGAs with the United States in respect of FATCA’. This is a weak justification for allowing the U.S. to exercise a kind of quasi-jurisdiction over NZFI’s. It’s also insidious that the report portrays FATCA as consistent with the sovereign rights of NZ despite the legislative changes required to comply. I do agree in principle, that it’s inappropriate for the NZ government to comment on the U.S. citizenship based tax model, since its part of the U.S. domestic legal system. However, I also think criticism is appropriate in the circumstances given the purpose of FATCA is to coerce domestic law changes in sovereign States so that the U.S. can access information it would otherwise not be privy to. 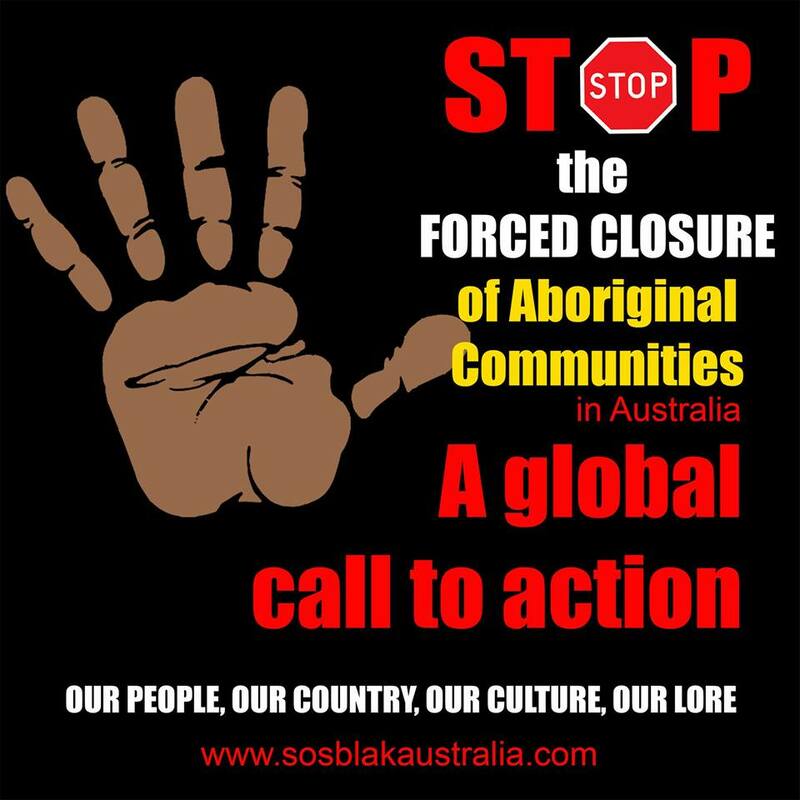 I do worry about the impact of the IGA’s, since international law is often created through custom, which can derive from treaties and agreements. Custom is established through widespread and consistent State practice and opinio juris (what the States believe). These IGA’s are arguably evidence that the States who enter into them accept as a practice that intergovernmental information sharing through relaxation of domestic privacy laws is a developing norm. Additionally, that those States conceive of coercing private institutions to share private information about those who have accounts with them as acceptable State behaviour. The only way for a State to avoid being bound by customary international law is to express a statement to the contrary of a particular practice prior to taking any action that might suggest otherwise. Arguably, signing an IGA is evidence in favour of the norm development. Other commentary of State belief may also bolster any claims of custom in future. This statement clearly suggests that the Officials are anticipating a FATCA-like regime in NZ (and other OECD countries) in future. As the report points out, the only way for U.S citizens to avoid being captured by FATCA is to renounce their citizenship, and this is probably the only way for NZ citizens to avoid this kind of regime too. The report also insists that intergovernmental information sharing and citizenship based tax models are pertinent to becoming a ‘good international citizen’ and has dual benefits to NZ i.e. both fiscal and reputational. While his post rails against the Left in a mocking and often offensive way, the substance regarding FATCA is worth consideration irrespective of political affiliations. If you value privacy, then you are unlikely to support FATCA. The IGA being negotiated between NZ and the U.S will compel NZFI’s to collect and share information that is not currently collected and shared but the report considers this intrusion on privacy to be outweighed by other public interest considerations. Inferentially, NZ’s reputation and future fiscal advantages through the ability to coerce information from FFI’s in order to tax NZ citizens abroad. For all the reasons above, I oppose FATCA and I encourage those who oppose the GCSB legislation to consider the implications of global information sharing based on an individuals citizenship and access to their financial accounts. You may buy into the ‘it targets the 1% who cares’ narrative, but FATCA is not about class. It is about privacy. It signifies the unacceptable encroachment of the State into the lives of every citizen. That is the dystopia we are heading for with FATCA.